This is a vintage looking fabric flower bouquet. These are rolled fabric flowers. I use hot glue gun to make these. You have to learn to roll the fabric to make these. First, you make a strip of fabric. Then you take it by one end and make a bend in it and form the heart of the flower. Then you roll it away from you and twist. 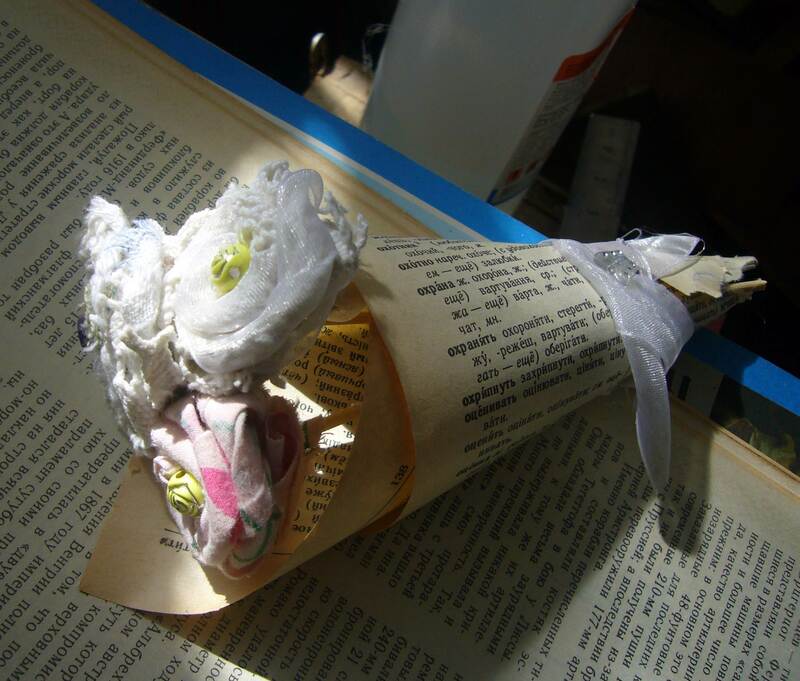 You put a dub of glue to make it hold together and keep on rolling and twisting. I have glued these fabric flowers onto wooden sticks and rolled them up in an old book page. You can use two strips of fabric together to make a bigger and fancier flower. Or, you can add a ribbon to the strip of fabric and roll them together to make two colored fabric flowers. This is a lace rolled flower I used to decorate a tint can. You roll it the same way, as you do wiht the fabric flowers. 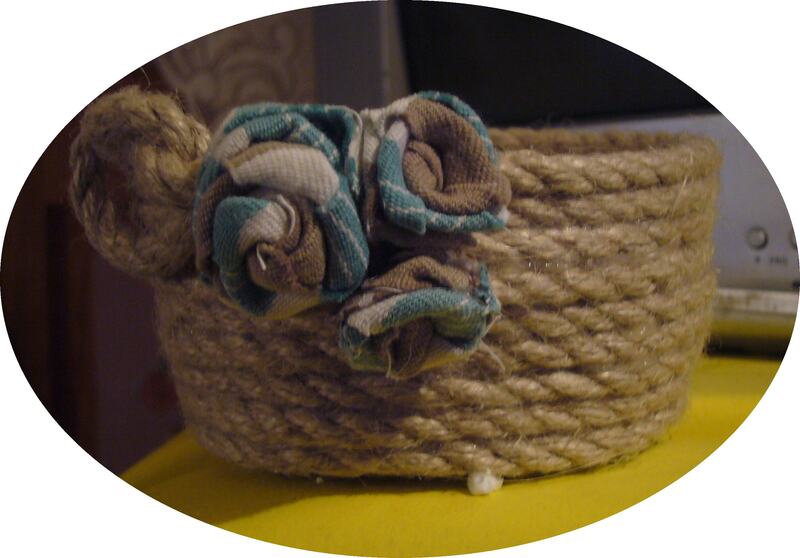 As you may see, you can decorate so many things with fabric flowers, such as this rope basket. 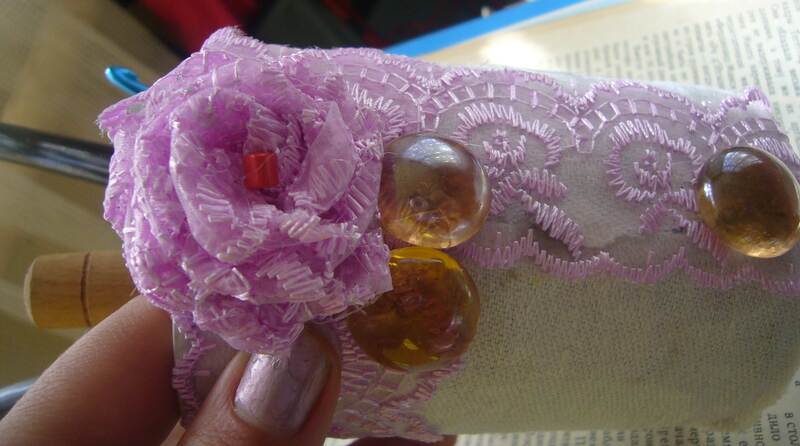 This is a plastic bottle bracelet decorated with rolled fabric flowers. This is a two colored fabric flower I have made for the crocheted fabric tea pot mat. You can use all sorts of beads or buttons to decorate your fabric flowers. They are lovely and easy to make. 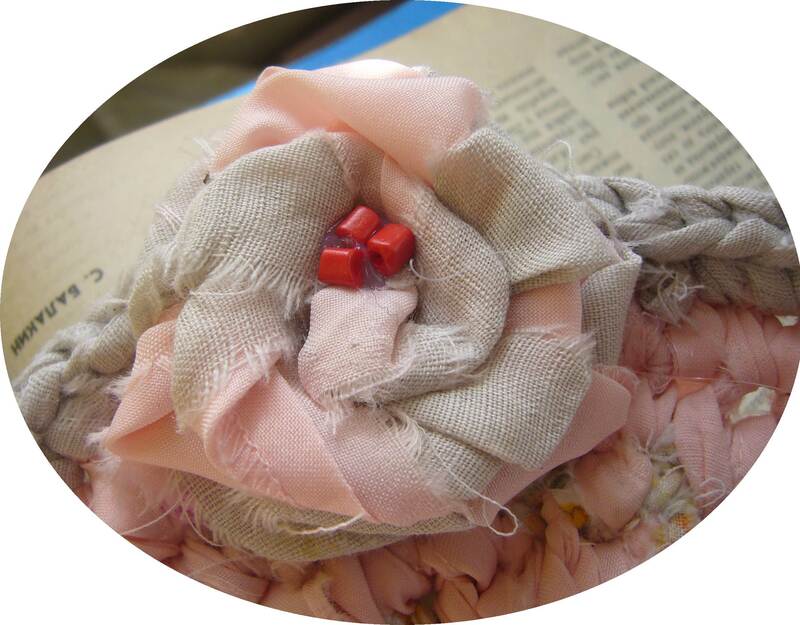 You can use fabric flowers to make headbands, jewelry, you can use them to decorate flower pots or picture frames. 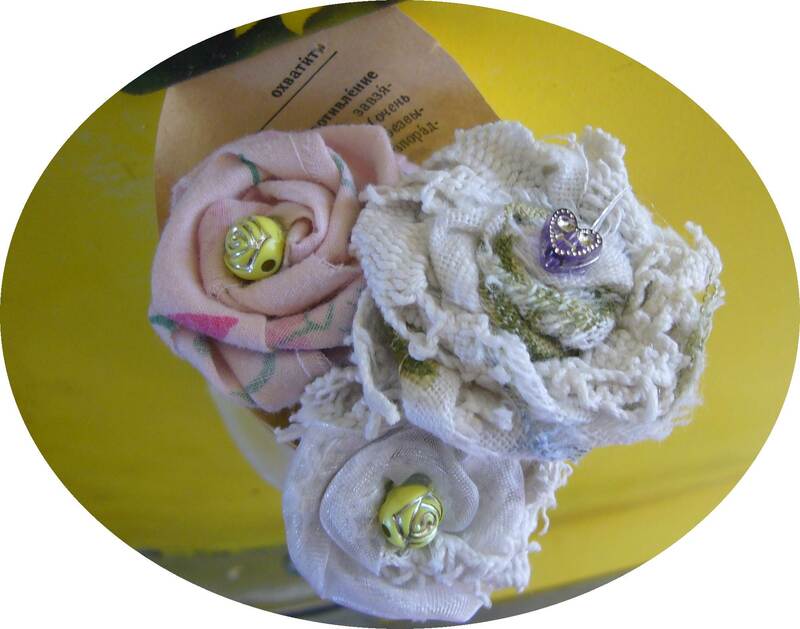 Or you can make fabric flower boquets. This is an easy and go green craft. 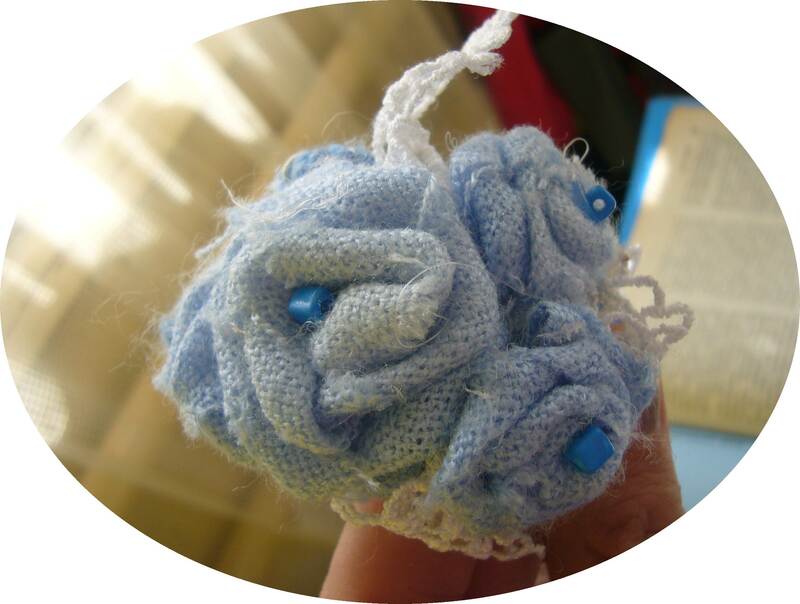 This entry was posted in Crafting Tutorials, Go green and tagged craft ideas, crafting, crafts, diy fabric flowers, easy crafts, fabric crafts, fabric flowers, flower jewelry, go green crafts, handmade jewelry, how to make fabric flowers, recycled crafts, recycling, upcycling. Bookmark the permalink. very troublesome to inform the reality however I’ll certainly come back again.